Bellezi was founded in 2009 by the brothers Bob & Joost Schwering. Minimalistic designs, quality and excellent service at an affordable price are our key focus. 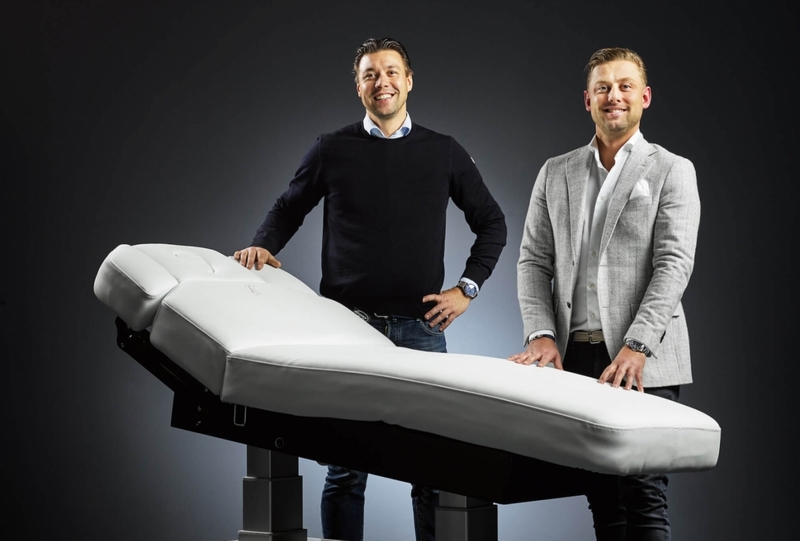 By putting together a strong team of designers, specialists and commercial people, Bellezi has acquired a position in the highest segment of treatment chairs, wellness & massage beds at an international level. "To stand still is to go backwards", therefore Bellezi mainly looks at its existing customers and the goal is always to improve in the future. Meanwhile, Bellezi has grown into an internationally very active organization, with several major cosmetic brands, wellness centers and hotel chains as regular customers. With exports to more than 35 countries and thanks to various partners and collaborations worldwide, Bellezi gains brand awareness all over the world. Bellezi does everything in-house. From production to installation and maintenance. Since we have our own designing and production facilities,we are not depending on wholesalers and this gives us maximum flexibility. This also gives us the possibility to tailor products to your needs. We deliver our products anywhere in the world within 2 to 3 days. This is possible thanks to the right logistics partners and collaborations worldwide. In addition, we have over 250 chairs and beds in stock, which means virtually all models are available for delivery from stock immediately. To produce a quality product, Bellezi collaborates with the best suppliers of upholstery and motors for the chairs and beds. Our chairs and beds are tested to the utmost in partnership with LINAK® actuator technology to offer you and your clients peace of mind. In addition, Bellezi has a considerable number of partnerships with large cosmetics brands, distributors and training centres. We participate in the largest international trade fairs every year, including Cosmoprof Worldwide Bologna, Professional Beauty London and Beauty Düsseldorf, where we present our innovations to the public. We offer each client personalised advice. After all, everyone has their own preferences and requirements. Feel free to contact us for an appointment with our experts who can advise you on all aspects, from design to functionality. We would be delighted to visit you on location to discuss the options for your space, or your specific needs in respect of your treatment beds.